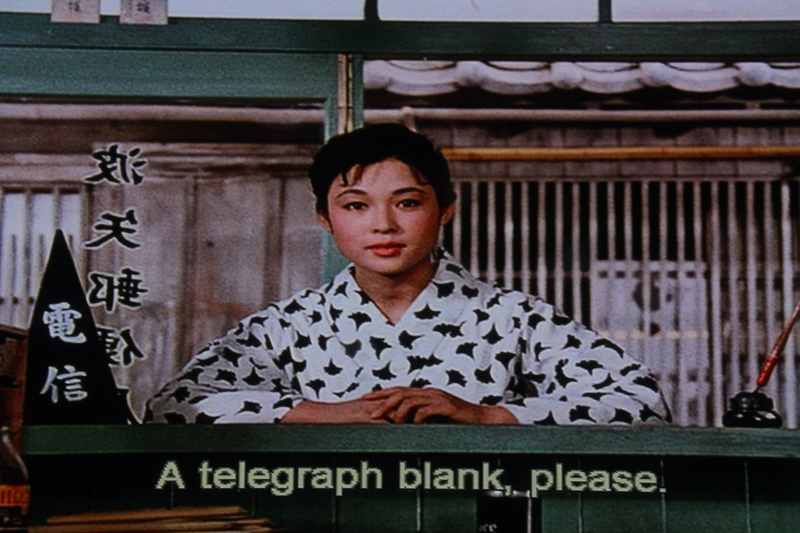 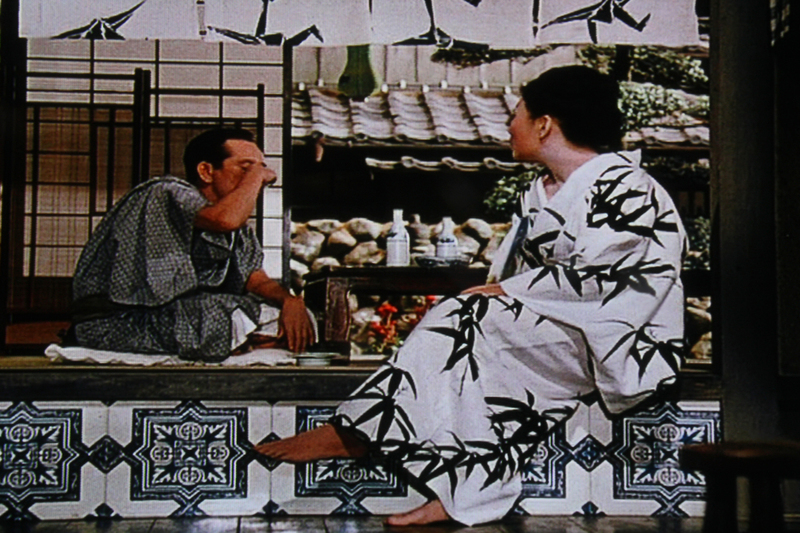 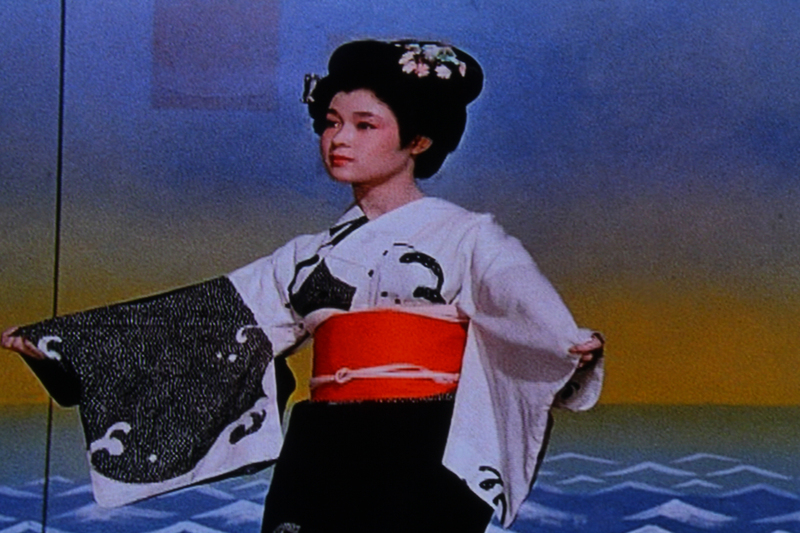 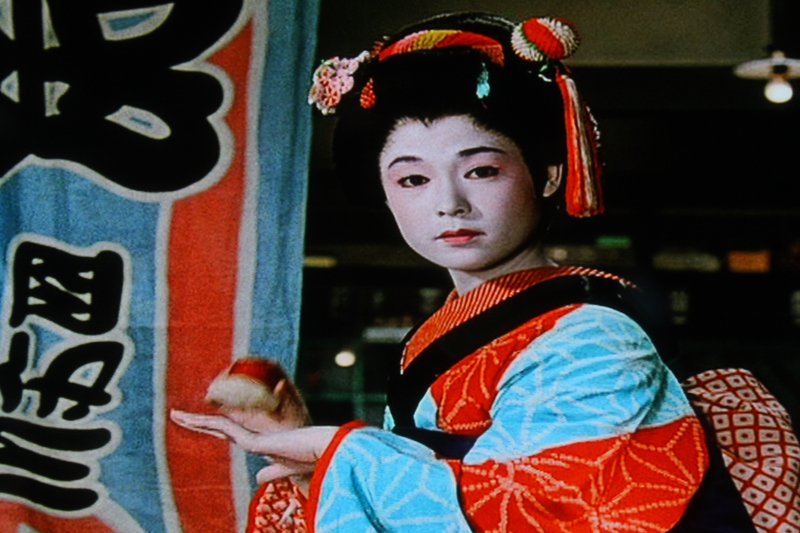 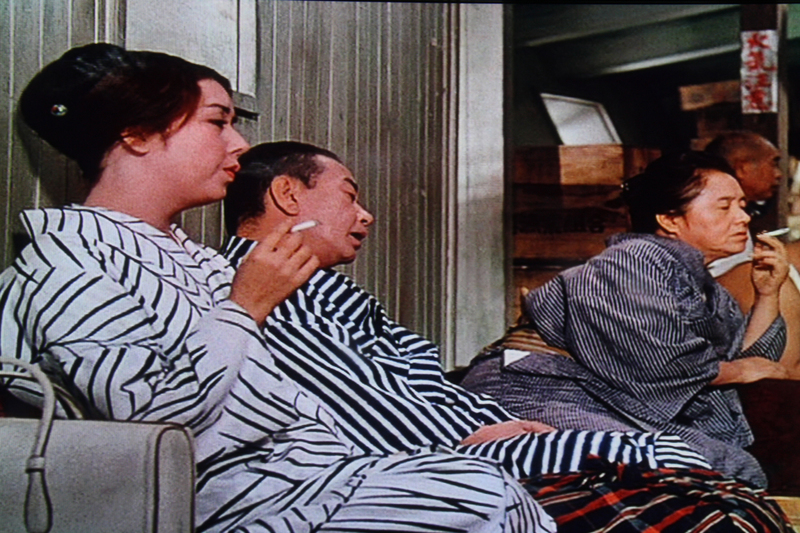 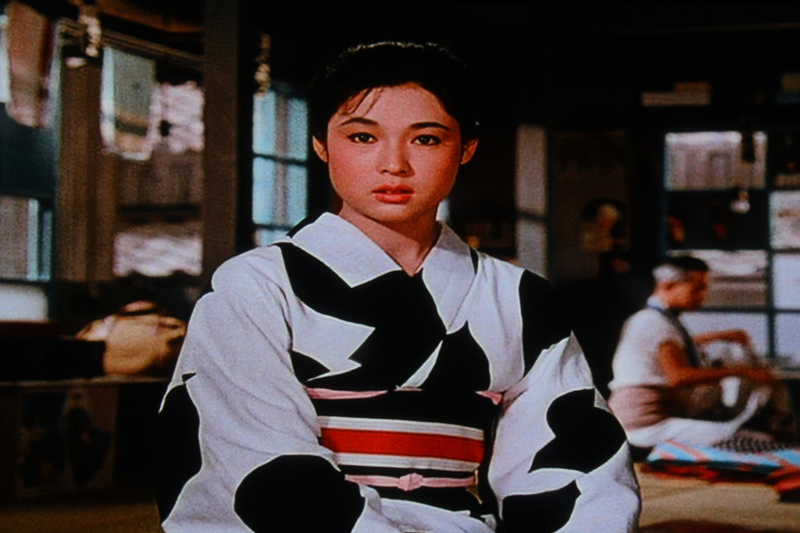 Neil and I love Tokyo Story and when we told our friend Sam, he suggested we watch another of Yasujiro Ozu's films - Floating Weeds. 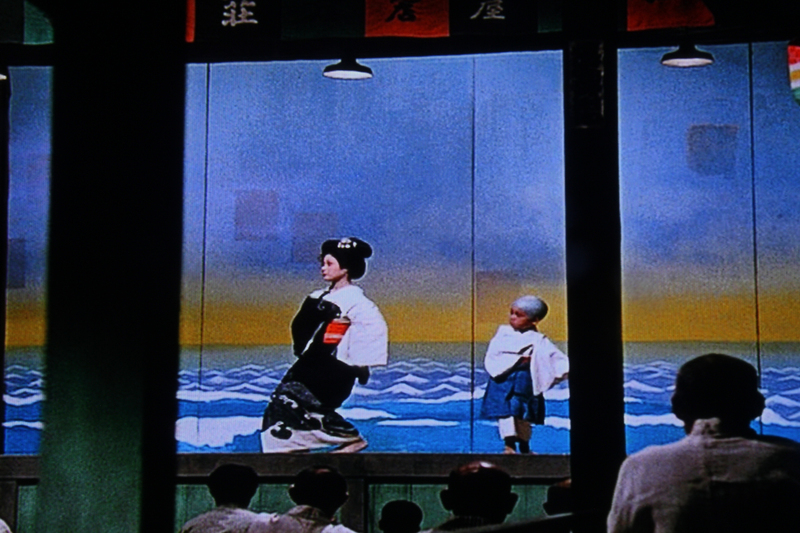 Immediately, we were taken in by the film's beauty - the richness and depth of color and pattern (they feature blue, green, white, red, and black prominently in most scenes) and also the cinematography and the symmetry of each scene - many shots are elegantly framed inside one frame after the other, sometimes the outline of a room or window, sometimes from across the street and through the open doorway of the home adjacent to where the shot is focused. 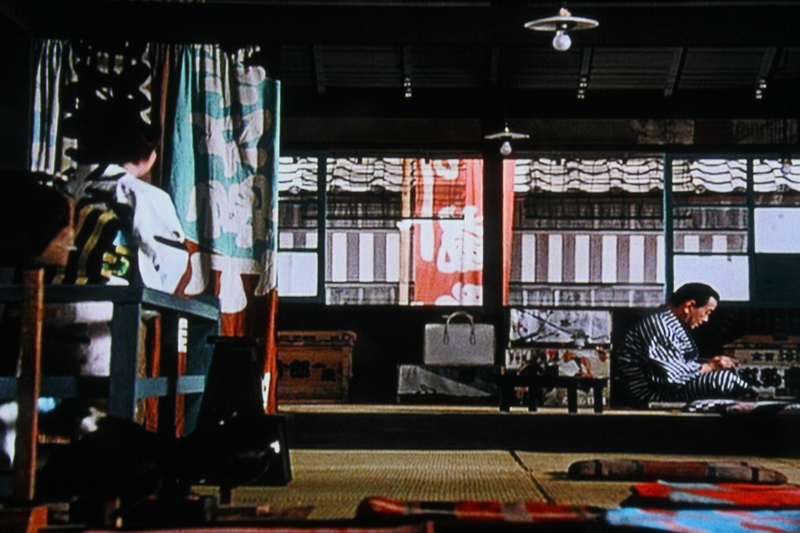 These shots give the impression of always looking from the outside in at the small, understated drama taking place. 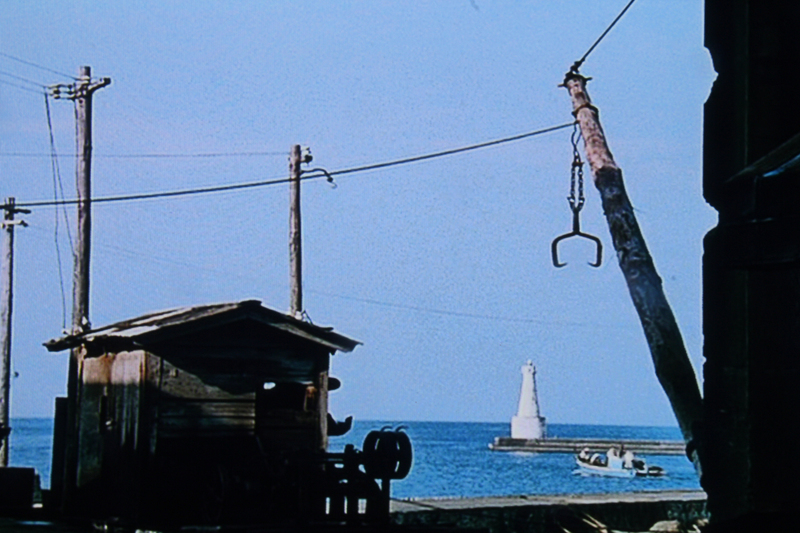 The narrative spotlights an acting troupe and their fateful visit to a small seaside town. 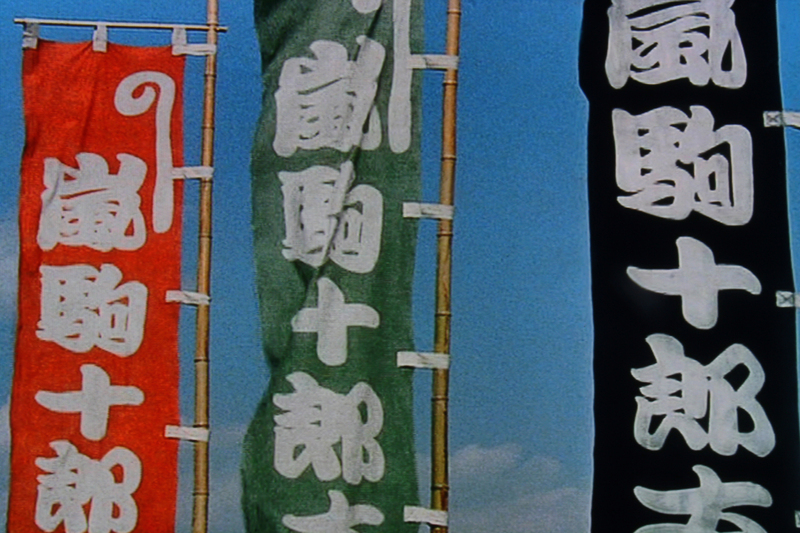 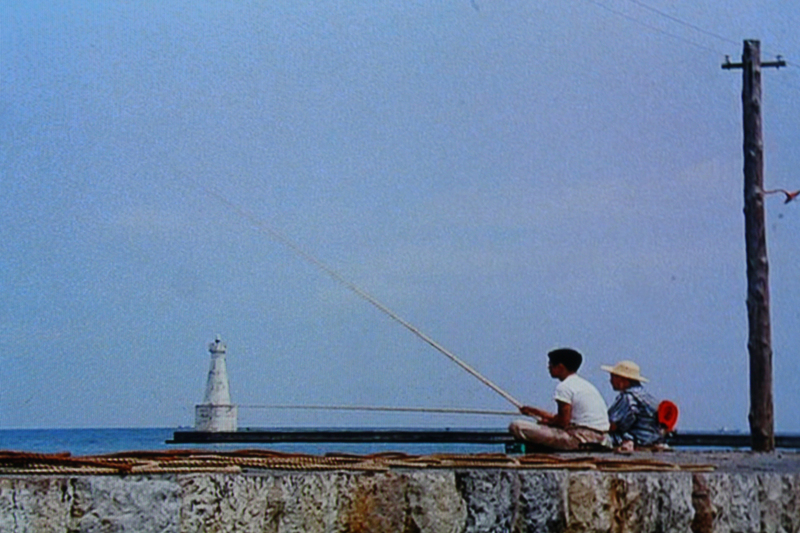 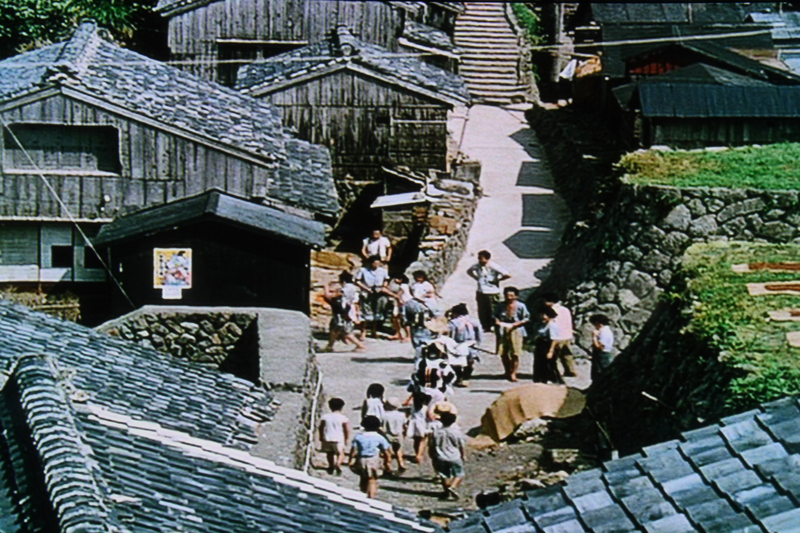 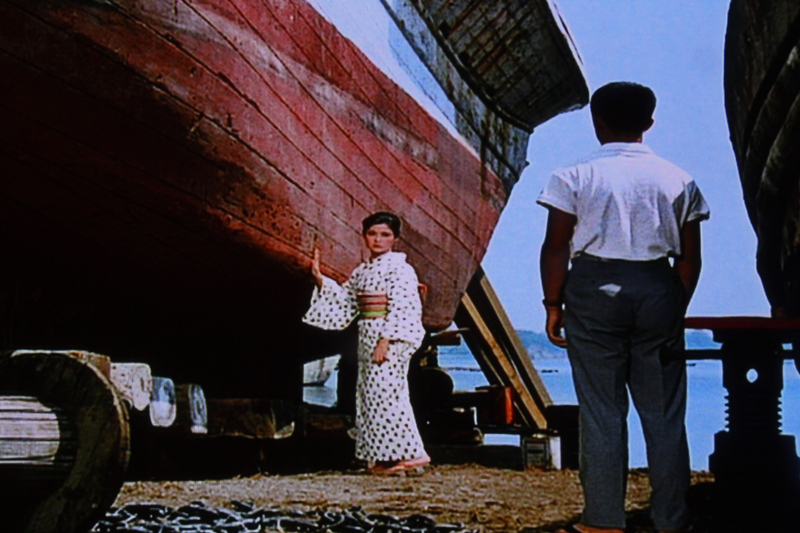 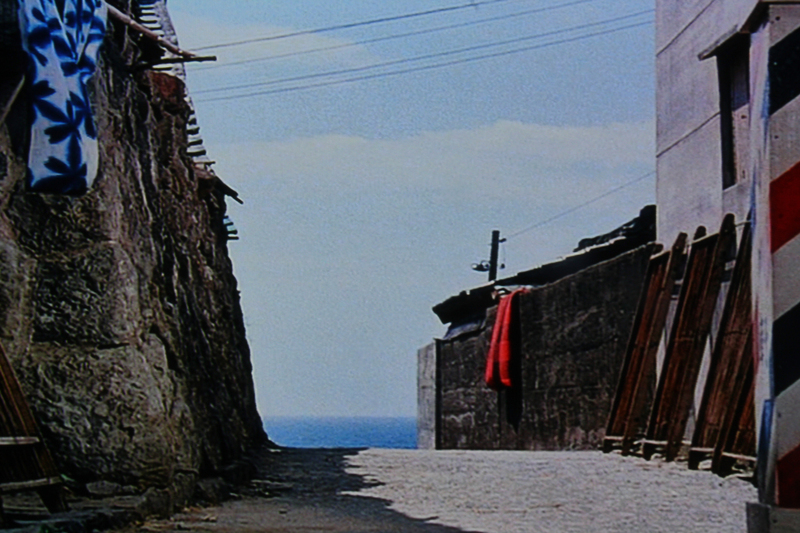 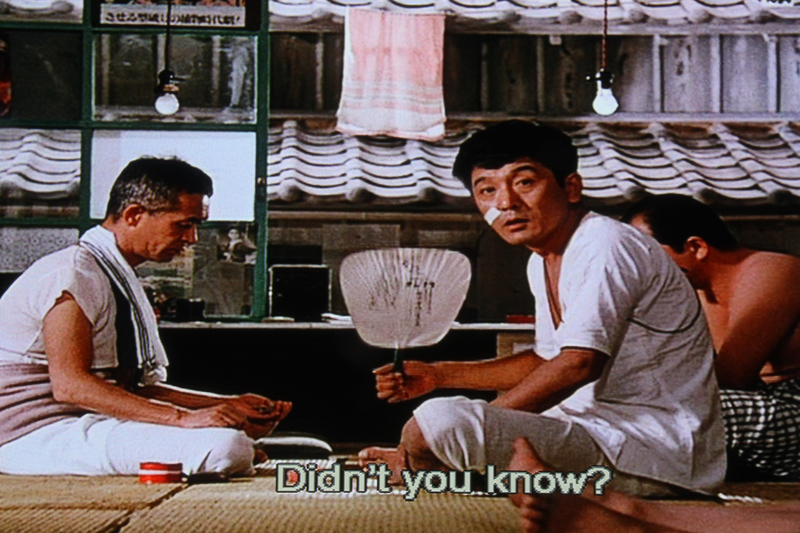 Ozu weaves a great tale focused on everyday lives, much like Tokyo Story (which still wins for me personally in the end) and overall, Floating Weeds is a great film on many levels - but it's worth watching for the imagery alone. 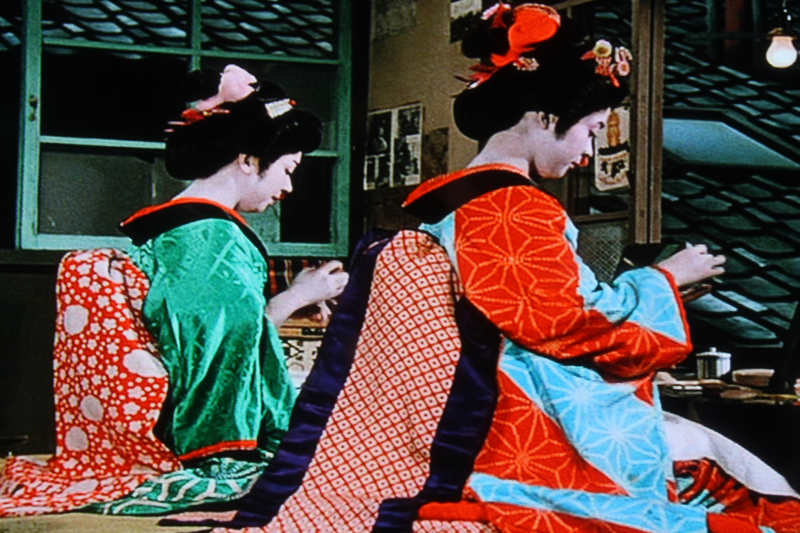 Read Roger Ebert's glowing review of the film here.